Do you have a budget? Do you know where your money is going each month? Do you know where it went yesterday? Creating and following a budget is something many people find very difficult to do. Just thinking about the state of your finances can make you wish you were getting your teeth drilled instead! Making a budget and sticking to it is important to a strong financial future and can help you prevent a bankruptcy filing. 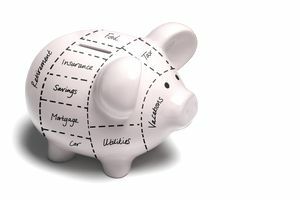 In fact, creating a budget can reduce stress and improve your health because it allows you to take control of your life. You can begin creating your budget in a word processing program or an Excel spreadsheet on your computer. You might try online budgeting resources and apps like Mint or You Need a Budget. You can even do it the old fashioned way - by hand. Regardless, you'll need to do some footwork to gather all the information you'll need to put into your budget. The first step to creating a budget is to find and gather all of your monthly bills. This includes everything that you pay on a monthly basis, such as mortgage or rent, credit cards, utilities, cable, Internet, etc. You will also need to find any bills that you have to pay less frequently than every month, such as perhaps auto insurance or car registration. Once you have all of your expenses together, you are ready for the next step. Of course, many of your expenses are not fixed each month. Reviewing your checking account statement will help you estimate those expenses that vary from month to month like food, entertainment, and medical bills. Figuring out your monthly income should be a far easier task than getting together all of your bills. Many people are paid every two weeks, so your pay stubs or bank statements should tell you what you need to know. If you receive any other type of income on a monthly or less frequent basis, make sure to take note of it. You will want to make sure to only account for your after tax income. It makes little sense to include income in your budget that will be immediately taken by the government! Don't forget irregular income, like bonuses or your pay from seasonal work. Calculate your irregular income by adding the total amount of income you receive in a year that is not your regular paychecks, and divide by 12 (12 months in the year). For example, if you are paid $3,000 once a year in June, divide $3,000 by 12 months to get an average additional income of $250 per month. Start creating the expenses section of your budget below or next to the "Monthly Income" section. Create a category for each type of expense you have each month. Remember to also create an Irregular Expense category, just like you did for your irregular monthly income. For example, if you have to pay $150 a year for car registration and $1000 a year for auto insurance, you would have a category of Irregular Expenses for $95.83 per month. You get that number, as before, by dividing your total yearly irregular expenses $1,150 by 12 months. For your irregular expenses, set aside that $95.83 into a savings account so that you have the full amount when the time comes to make the payment! Subtract your total expenses each month from your total income each month from your budget table. Anything left over can be put into savings or other categories. If you have a negative balance in your budget, you need to reduce your expenses (or increase your income).